Directed by Deepankar Senapati. 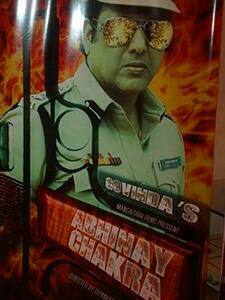 Abhinay Chakra is an action comedy flick. It is produced by Govinda and features Govinda, Ashutosh Rana, Murali Sharma, Makarand Deshpande, Harish Kumar and Richa Sharma.